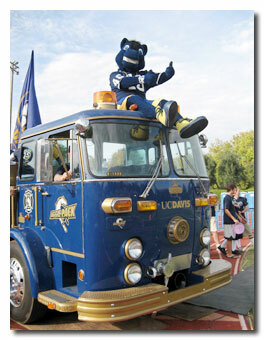 When deciding where to go to school, I was torn between UC Davis and UC SantaBarbara. I am so glad I chose Davis. Davis is the perfect school to go to. It provides the perfect balance between a social life and study life. The competition for grades is not cutthroat, however it is competitive and students DO study when they need to. I say this meaning that if you wanted to stay in for a weekend, you would'nt feel bad because there are plenty of students who do. On the other hand, if you wanted to go out on a monday night…people are all for that too! Davis is the perfect school for anyone, because there are all different kinds of people here and ANYONE can fit in. This school has TONS of excellent resources. Essentially, Davis is the best UC out there.